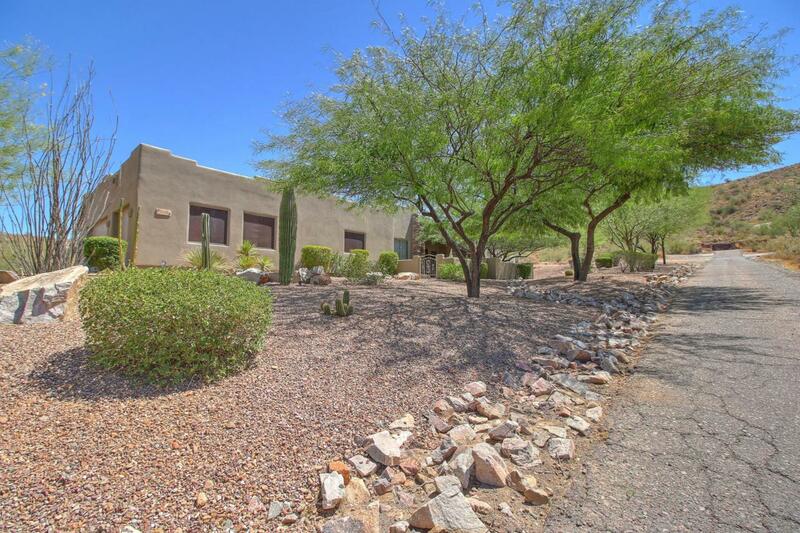 Don't miss this 4 Bedroom, 2.5 Bath Custom Home nestled on an acre with beautiful mountain views, just a stones throw away from the Phoenix Mountain Preserve. This elegant home features granite countertops throughout, 18' tile everywhere except the bedrooms, stainless steel appliances, pre-wired for just about everything. 8' doors, 10' ceilings in the bedrooms and vaulted ceilings everywhere else add to the relaxing atmosphere. Spacious bedrooms, walk-in shower w/dual heads, jetted tub, instant heat water recirculating system, two fireplaces inside and outside, gas fire pit on the pack patio/viewing deck, cultured stone entry and patio areas with breathtaking views in every direction. Room for your own pool. Oversized three car garage with workshop area as an added bonus.